Maltesers. Those light melt-in-your-mouth crunchy chocolate balls. You eat a whole bag of them without noticing it. Everyone knows maltesers. However, the same is not true for malted milk. I had no idea what it was when I came to Australia. Is it milk powder? Powdered Milk? Why do you put it in milk then? Or are you supposed to put it in water? I was clueless. We have some Milo in the house, and I never liked the smell of it. I didn't like the taste of it either. I still don't. It smells weird, it tastes weird, and I just don't understand the idea behind it. Why would you put it in milk if milk tastes like milk (obviously) and malted milk powder is supposed to taste like milk. Is it? I love to try new things. Often people don't like an ingredient by itself, but when it is combined with other ingredients they don't seem to mind it too much. That was the purpose of this brownie. I love brownies! 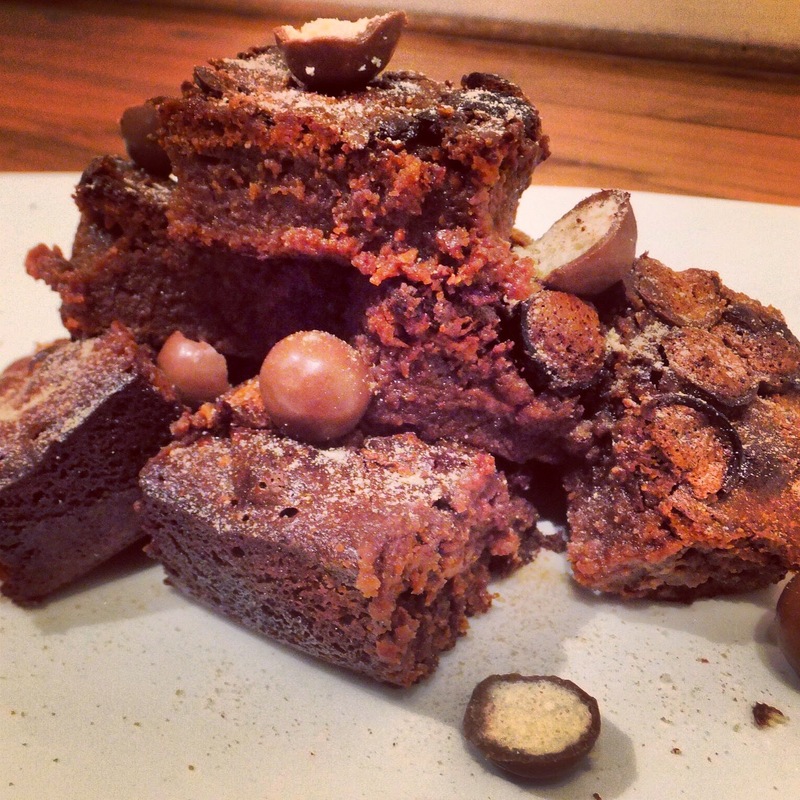 So I must also love brownies with malted milk and maltesers, right? I found this recipe on the website of Raspberri Cupcakes, another Sydney blogger. Her website is amazing! 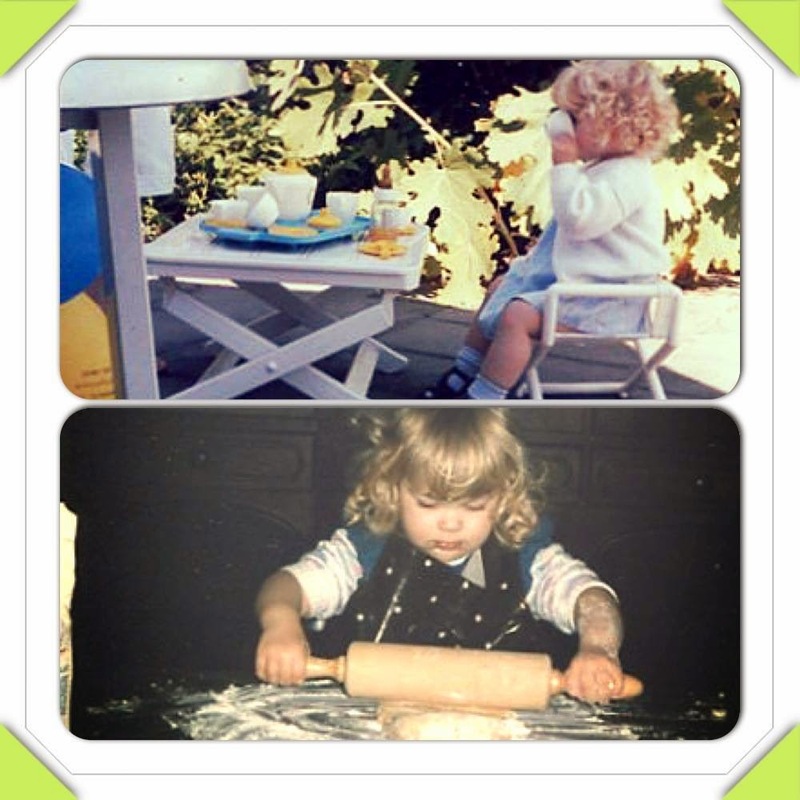 I wish I could bake like that, and take such amazing pictures!! If you are looking for some nice recipes for amazing cakes and other sweets, have a look on her beautiful blog! Preheat the oven to 180 degrees celcius. I recently found out that I have used the wrong oven settings for years. I always used the grill when baking. Wrong! So make sure that you use the right settings. Use a 20x30 cm brownie tin, grease it, put baking paper in it, and then grease the baking paper. You can crunch and wrinkle the baking paper so it will be easier to get in the pan. Boil some water in the kettle and put in a pan. Put a bowl on top of this pan and melt the butter and the chocolate until the mixture is smooth. Then add the malted milk powder and the sugar. The mixture will get lumpy, but that is fine. Remove from the heat and stir in the eggs. Then add the flour. Make sure you keep on stirring and add the flour gradually. Once the batter is smooth and glossy you can put in the maltesers. 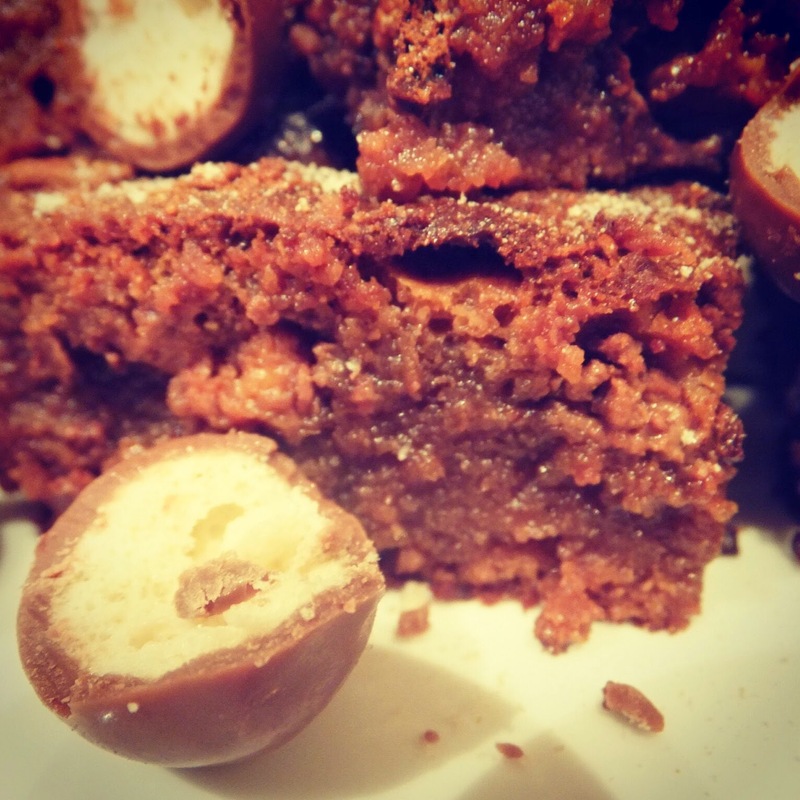 Poor the mixture in the brownie tin and sprinkle it with crushed maltesers and some malted milk powder. Bake for 27-30 minutes. Check regularly, because you don't want to overcook them. Cut the brownies in small pieces and eat them, or bring them to work. I did both. You can store these brownies in a tupperware container for 4 days. These brownies were super moist and decadent. It was really easy to eat them and the malted milk powder was not overpowering and added a bit of a twist to it. Do I like malted milk powder now? Not in a hot drink like a glass of milk, but it works really well with these brownies. I hope you will enjoy them just as much as I did.